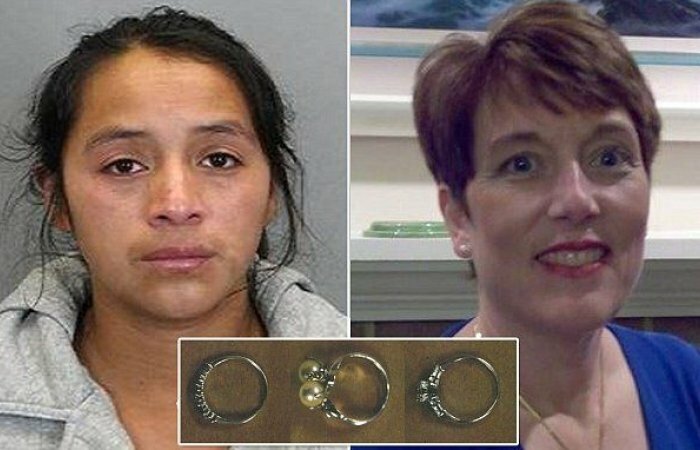 A pregnant, 19 year-old illegal immigrant was convicted of felony grand larceny after she admitted she stole over $5,000 worth of jewelry from a Virginia home she had cleaned. But don’t worry, she felt really bad, or something, so the jury decided to pay her fine for her. Her fine was $60, which is less than 1/5 of the fine I would get for running a red light in California. Priorities, am I right? Jury foreman Jeffery Memmott says the jury felt bad for the 19 year-old, so they pooled together $80 for her. Sandra Mendez Ortega, the illegal immigrant in question, is pregnant with her second child. Although the story seems compassionate, the victim of the theft is not happy about what happened. Copeland was also baffled by the $60 fine, which is probably about how much Ortega made in a day as a maid. She was also upset that Ortega made money off of the whole situation, coming out $20 in the black. Copeland says that Ortega’s immigration status was not told to the jury, claiming that she was told it wasn’t relevant to the trial. “I think it’s relevant to the case,” Copeland said, adding that being a felony conviction means nothing for an illegal. They don’t have any of the rights that would be stripped of citizen felons, like owning a gun or voting (unless you believe illegals don’t vote). That sounds like a reasonable position to me. If you’re here and commit a felony, sorry, you’re gone. I’m no open borders guy. As long as there is a welfare state, it is stupid to have this porous of a border where 50% of all immigrants, illegal or legal, use some kind of welfare program. That is unacceptable.